dulldirtydangerous: Surface Effect Ship Design: New Life as an Unmanned Surface Vehicle? Surface Effect Ship Design: New Life as an Unmanned Surface Vehicle? In the early 80's, I supported an engineering team working to build a surface effect ship (SES). In 1974, the Navy expressed an interest in constructing a 3000 ton, 80 knot guided missile destroyer. A text released in 2000, Theory and Design of Air Cushion Craft (ISBN 0340676507) reconstructs the interesting history of Rohr Marine and their work to build the technical infrastructure needed to construct and test such a vehicle. 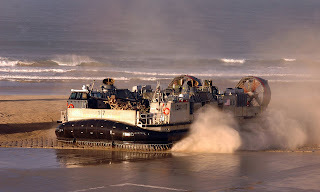 Today the Navy has an Landing Craft Air Cushion Vehicle, which has been used during some anti-terrorist operations. The last of these were built in 2001. 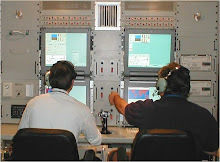 Between 2000-2003, Navatek modified the original SES-200 frame. 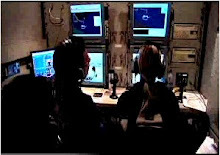 It was put back into technology evaluation status yet again as the IX-515, or Sea Flyer, through ONR funding. The result is also known as the Hybrid Small Waterplane Area Catamaran (HYSWAC). One source indicates that this ship will be used to train crews for the LCS X-craft or Sea Fighter, a high speed catamaran design. Could a USV version of the Sea Fighter be in the works? A rich collection of SES photos and drawings has been collected by SeaRider Inc.